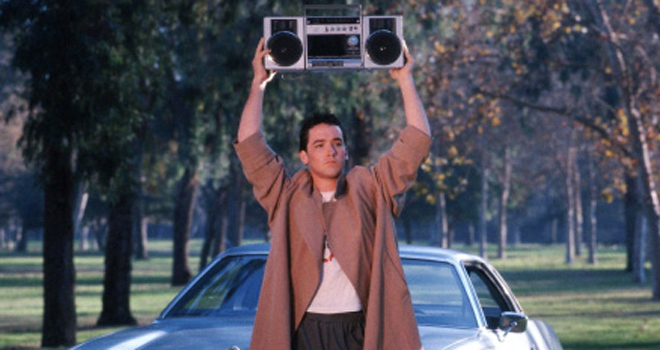 Many of you might already know that I love listening to movie soundtracks. I always have. Since I was a little tyke who could barely see over a counter, I was infatuated with movie scores and soundtracks, particularly the ‘E.T.‘ original motion picture score and the ‘Beverly Hill Cop‘ soundtrack. From there, my love and passion grew for all types of music. My parents had a pretty good record collection that included all three original ‘Star Wars’ albums, ‘The Wizard of Oz‘, and ‘Star Trek I and II’ to just name a few. Throughout the years, I now have a fun record collection that spans all genres of music from Frank Zappa to Rage Against the Machine, from R.L. Burnside to The Pixies, and so on. Along the way, digging through the dirty stacks of crates at local record shops and estate sales, I became hell bent on having one of the best Soundtrack collections. And over the past several years, I’ve been lucky enough to acquire some very sought after albums. But there are still so many soundtracks that have never found their way to vinyl, either commercially or ever really. So here is a list in the hopes that maybe Varèse Sarabande, Mondo, or Death Waltz will consider releasing these albums in the near future. 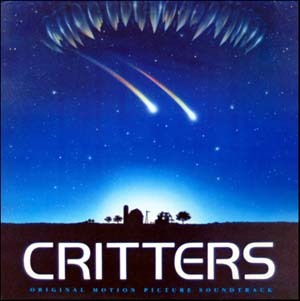 Critters (1986) – This soundtrack is killer. Not only does it have an original score by David Newman (the guy who did the music for ‘Heathers‘), but it also has that amazing song ‘Power of the Night’ performed by Terrence Mann, who in fact played Ug/Johnny Steele in the film. Now, while this soundtrack has been released back in 1986, it has become so rare, that it is almost impossible to find on vinyl, let alone a CD. I can still rock out to ‘Power of the Night’ some 30 years later and feel good about it. This soundtrack needs a re-release in the worst way. Killer Klowns from Outer Space (1988) – This is one of the most entertaining evil clown movies to ever grace the big screen. It still holds up today and has one hell of a whacky and haunting soundtrack by John Massari. It has never been release on vinyl before. Well at least the full soundtrack. 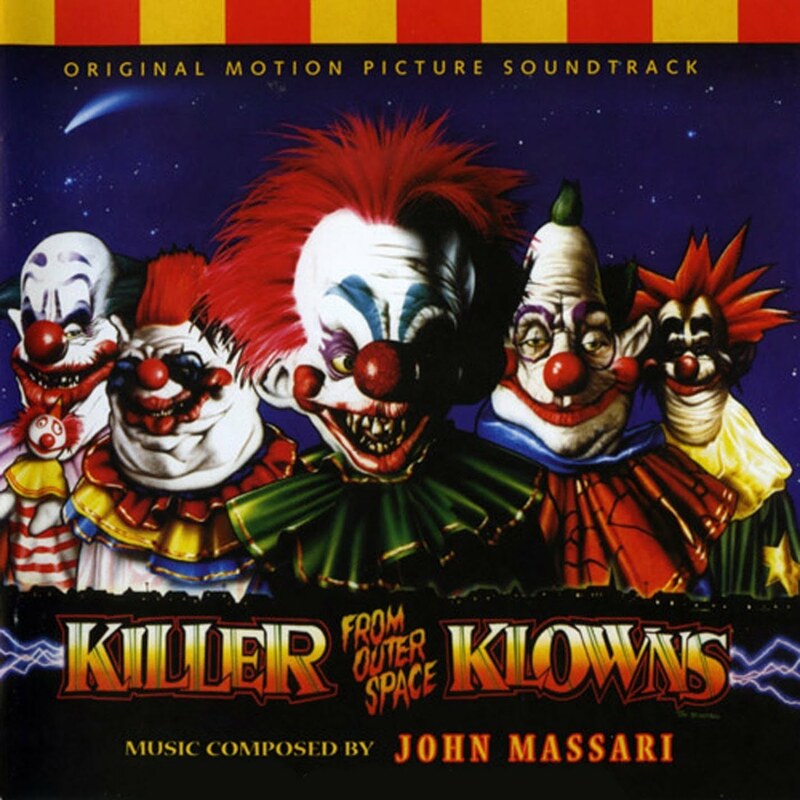 Actually, in 1988, the punk rock band ‘The Dickies‘ released an EP called ‘Killer Klowns from Outer Space‘ with killer cover art that feature the hit theme song ‘Killer Klowns from Outer Space‘. But that’s about it. There were no tracks that featured the awesome score from the film. This could be one of the best horror soundtracks that hasn’t been released yet, so please, someone get on top of it. Home Alone (1990) – I can’t believe this has not been release on vinyl yet. This is the perfect Record Store Day release for the Black Friday sale, because it has some of the best Christmas music on it. 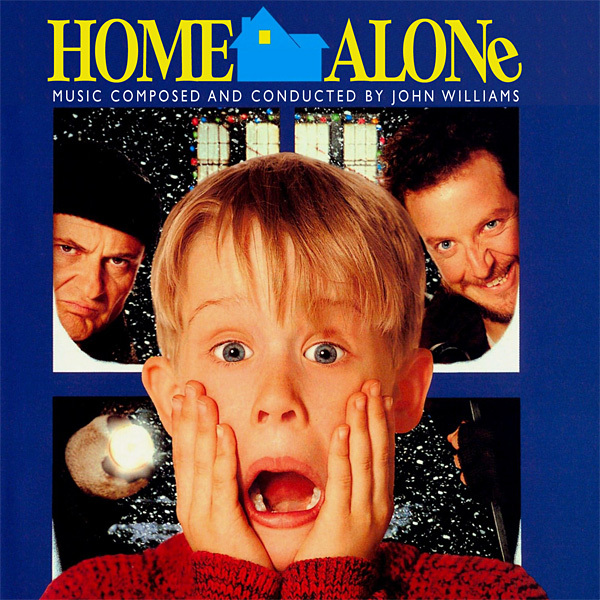 Not only do you have John Williams’s iconic score here, but you have tons of Christmas classics to add to that holiday cheer. One suggestion would be one or two songs from John Candy’s fictional polka band Gus Polinski and the Kenosha Kickers. Goodfellas (1990) – One of the best gangster films to ever be released anywhere has still never had a vinyl release. Well, at least in the USA, which is strange because this is an American film. There is an unofficial picture vinyl disc that you might be able to find, but it only contains dialogue from the film, rather than any of the amazing music. That’s why I’m including this album on the list here. It has so many great songs and the fact that it has never had a proper release is astounding. 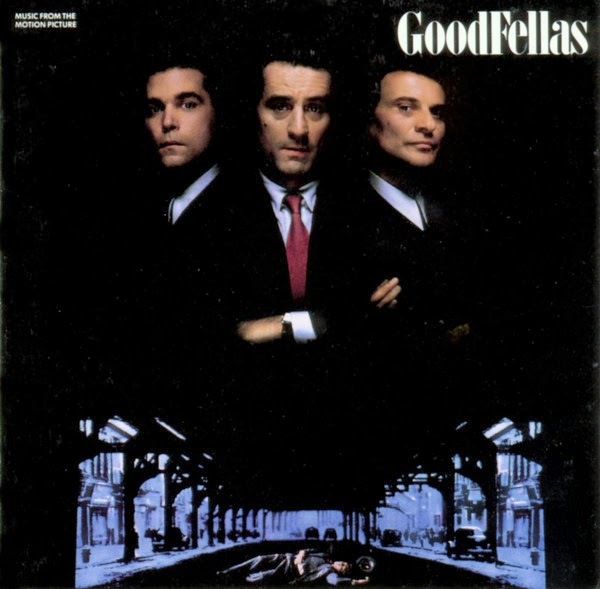 If you remember the film ‘Goodfellas‘, you know how packed full of amazing old school songs are on this album. Everything from Tony Bennett’s ‘Rags to Riches’ to Derek and the Domino’s ‘Layla’. It’s all excellent and needs to have a release on vinyl. The Lord of the Rings (2001-2003) – Now this one just pisses me off. Here you have a milestone in filmmaking on almost every level of entertainment. 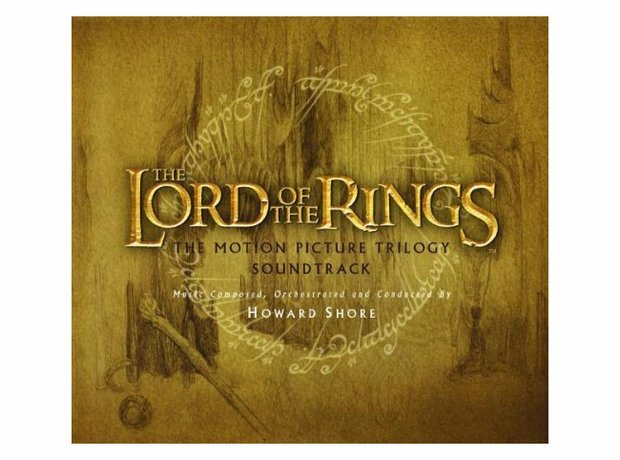 Not only that, this original score from Howard Shore is not only brilliant, but is one of the better scores to ever be part of a movie. Just listening to the music alone without the film evokes the same emotions as if I were watching the movie. And it’s deplorable that nobody has released this full soundtrack of all three films on vinyl. How many different versions and releases have we been told to purchase of the DVD or Blu-ray, or even CD. Countless, I know, because I bought each and every version. But no vinyl. This needs to change. We need these soundtracks on vinyl asap. 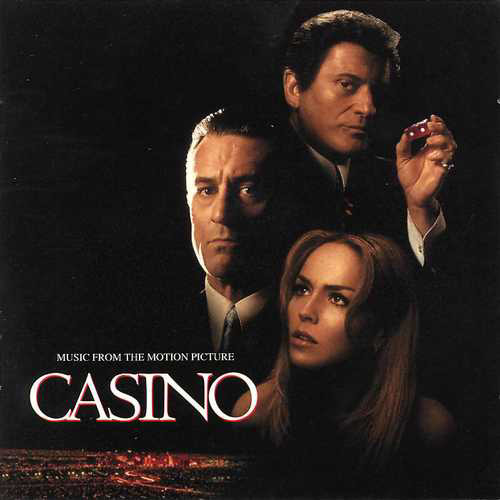 Casino (1995) – One could say this is the perfect follow up and 2nd best gangster film to Martin Scorsese’s ‘Goodfellas‘. And you more or less be correct. With an equally great film comes an equally awesome soundtrack, which has never been released on vinyl. There are 31 tracks on the CD version of this soundtrack, all of which are classic tunes ready to be on vinyl. Songs from Little Richard, Nilsson, Otis Redding, Muddy Waters, and even Devo are available. This would be the perfect companion piece to ‘Goodfellas‘ as it desperately needs a vinyl release. Almost Famous (2000) – I really don’t need to give a reason why this needs to be released on vinyl, but I’ll give it to you anyway. Again, this has been released on vinyl before, however it’s so rare, that I’ve never actually seen it in person, nor is it online for purchase but maybe a couple times a year. This would be a perfect Record Store Day release for sure. Not only do you have a few songs from the fictional band ‘Stillwater‘ to pull from, but you have a variety of artists, including The Who, David Bowie, Led Zeppelin, Simon and Garfunkel, and of course Elton John. This album needs to be re-released in the worst way. Maybe perhaps next year for Record Store Day. Once More With Feeling from Buffy the Vampire Slayer (2002) – This has only been released on CD, probably because it came out in 2002, which was when vinyl was at an all-time low. In fact, if you purchased any new vinyl from 2002, they are probably worth a pretty penny these days. One of the best episodes of any show on television was Joss Whedon’s ‘Once More With Feeling’ from the iconic cult tv series ‘Buffy the Vampire Slayer‘. In this episode, a demon comes to Sunnydale and hypnotizes everyone in town to break out into a song and dance that revealed their hidden dark secrets, which in time, causes everyone to literally explode. Each song deserves its own award, because each song is highly entertaining and excellent. Hell, this episode rose to the top of the Billboard charts and was nominated for an Emmy. Not only that, we get to see Buffy and Spike finally make out. But, someone needs to release this album on vinyl so that every Buffy fan can enjoy this music once again. 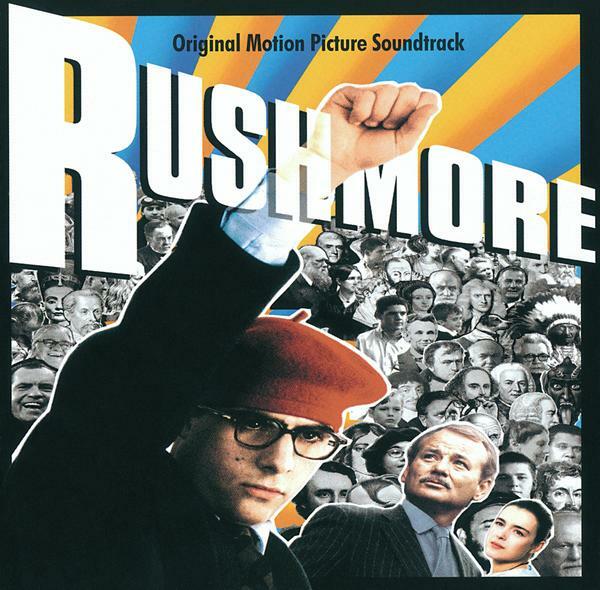 Rushmore (1999) – This is the movie that brought Wes Anderson to fame as well as bring Jason Schwartzman to the spotlight and start Bill Murray on a different path in his career. The movie is perfect. But also, the music and score is perfect, and it’s a damn shame that it’s never been released on vinyl. I feel that this would be the perfect release for Mondo as they could do some excellent variant covers. Not only do you have one of the best original scores from Mark Mothersbaugh, but you have music from John Lennon, Cat Stevens, The Who, and The Kinks to name a few. Since a couple of albums from Wes Anderson’s film resume have been released on vinyl as of recent, let’s hope the trend continues with this one first. 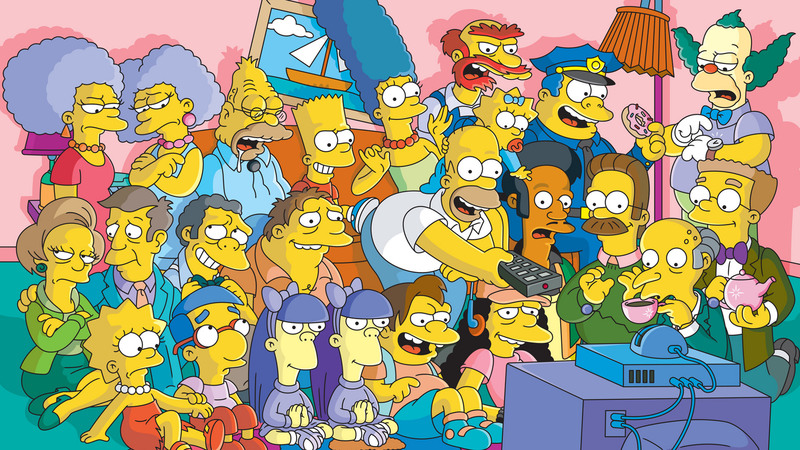 The Simpsons Series (1989-Present) – One of the best television series and might I add the longest running tv show is an animated one. I’m of course talking about ‘The Simpsons‘. Not only have ‘The Simpsons‘ continued to push the bounds each season and delivered on laughs, drama, and scares, but there has been a sizable amount of excellent songs from the show. I’m thinking this release should be a box set, because there is just too much to encompass on 1 or two albums. First off, we have to get ‘The Simpsons Sing The Blues‘ album that has ‘Deep Deep Trouble’ and ‘Do The Bartman’ song on it. In fact, ‘Do The Bartman’ needs it’s own special 45 limited edition purple record. Then you have the album ‘Songs in the Key of Springfield‘, which features quite a bit of songs from the tv series including the Stonecutter’s song ‘We Do’ and the Bleeding Gums Murphy Medley, not to mention the theme songs of the show by Danny Elfman. There are so many other great songs from the show that need to be on vinyl such as Michael Jackson’s ‘Happy Birthday, Lisa’ or the Monorail song. I sure hope someday ‘The Simpsons’ will have a deluxe vinyl set released of anything and everything Simpsons related. Now, Varèse Sarabande, Mondo, and Death Waltz, please make all of our dreams come true and release these glorious albums on vinyl. It for sure be a “Shut up and take my money’ type of situation all over the country. This entry was posted on Friday, March 13th, 2015 at 4:03 pm	and is filed under Music, News. You can follow any responses to this entry through the RSS 2.0 feed. You can skip to the end and leave a response. Pinging is currently not allowed. « Here is Ben’s Review of ‘It Follows’! !